Happy Festive Season one and all. This coming Tuesday I shall be meeting with the delightful and uber uber talented Samantha Shannon. Samantha, aged 21, has written the most brilliant dystopian novel The Bone Season and if you pay attention, you'll notice that migraine aura, and headaches, are beautifully and ingeniously interwoven into the story. 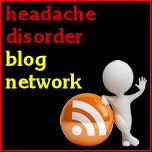 Samantha herself is a migraine sufferer and has very generously agreed to be interviewed for this blog. 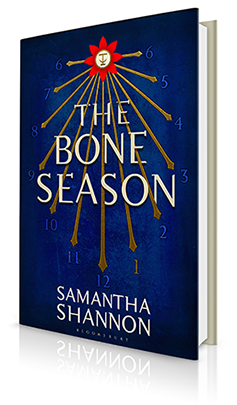 We'll be reading The Bone Season for the next Migraine Monologues Book Club in January, so if you haven't read (or listened via audible) to it yet - get going, you're in for a treat! You do not want to miss out. But for now - I'd love to know what questions you'd like me to ask Samantha - about the book, her migraines, how they impacted her creative process, what's she's hoping Father Christmas will bring her…. I, for one, am incredibly excited about meeting this emerging talent and find it hugely inspiring that despite living with migraines, Samantha has managed to achieve crazy huge levels of success. 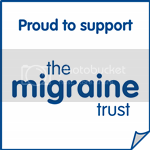 She doesn't know it yet, but she is definitely going to be Miss December, Migraineur of The Month…perhaps she should be Miss 2013? I want you to ask Samantha: What was your planning process? It's really interesting me because the book is brilliant ! My name is Stu, I run a company specialising in health apps and tools. We're currently in an early research phase for a condition tracking app (the idea is that it will allow people with different conditions to track their symptoms so as to get the big picture and inform their dr better). We're looking out for people who might be interested in joining the product development journey. These could be people who we speak to to understand their condition, people who fill out our survey, people who want to test and feedback on the app. I wondered if you, and others you know, might want be interested in helping out? I really love reading your blog! I was actually just looking something up on Topamax which I've been on for a couple years-300mg. I came across your blog about some of the side effects you were struggling with....wow! I had no idea! No one even told me about the side effects! I have had some relief with the medication, so for me I was very happy. I would like to know you or your guests thoughts on "rebound headaches" sometimes after my ECT I do get a couple pain pills to go with my Imitrex which I do feel is helpful but can cause a rebound headache. Can I prevent this?